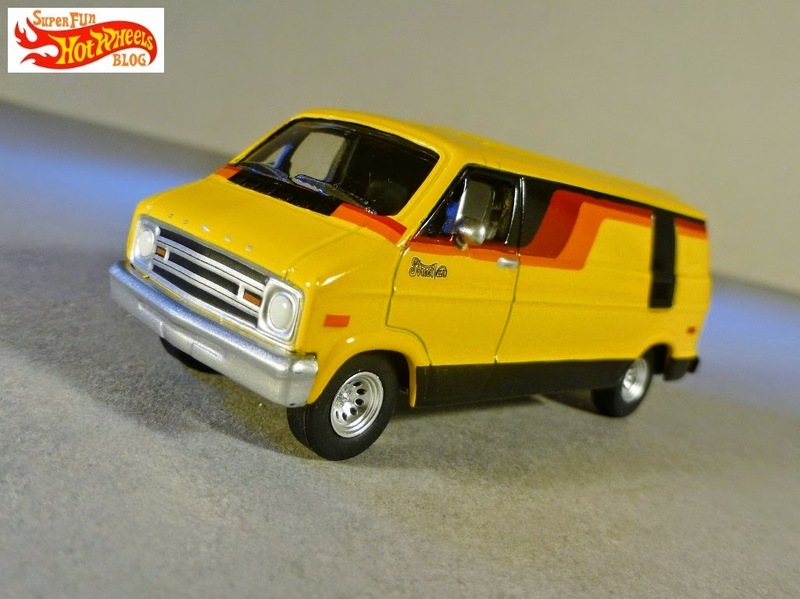 I picked up this Greenlight Country Roads series 1976 Dodge B-100 Street Van a couple weeks ago from a TRU, impressed with it's retro appeal. 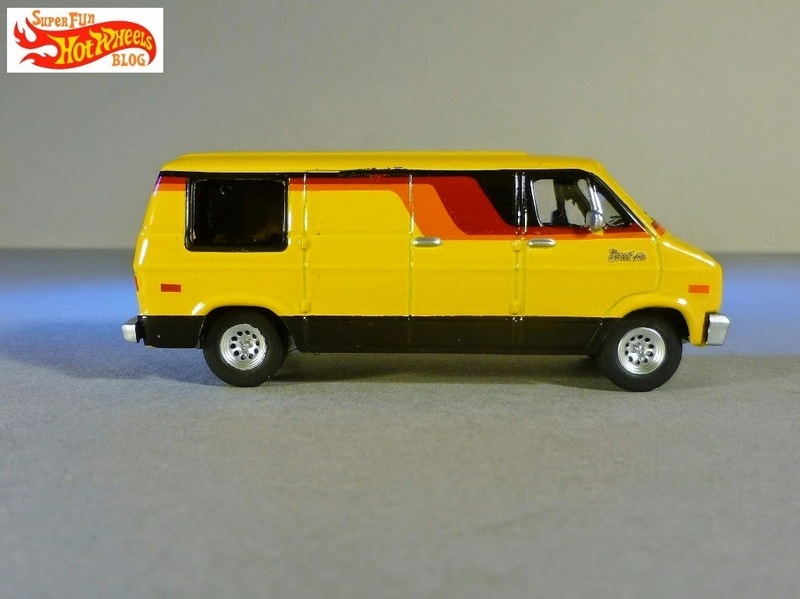 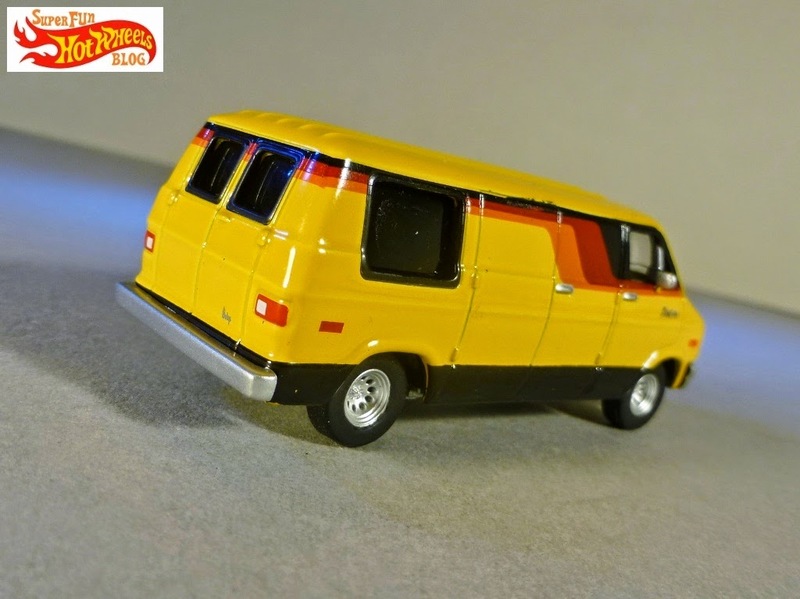 While I'm kinda disappointed in the paint slop along the top of the passenger side, unseen at the time of purchase due to the packaging orientation, the presentation on this Dodge van has some good points. 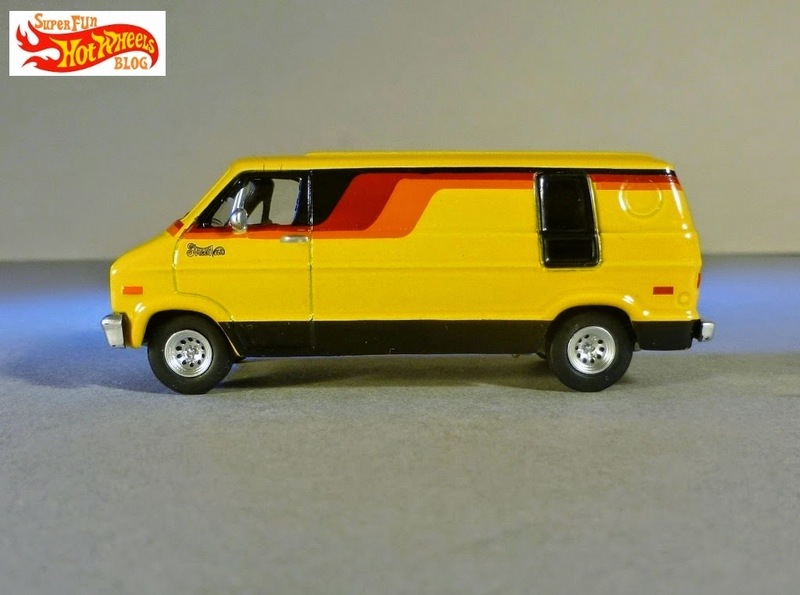 It suffers from some sketchy paint apps in the striping, which is a shame because the colors match the era so well. 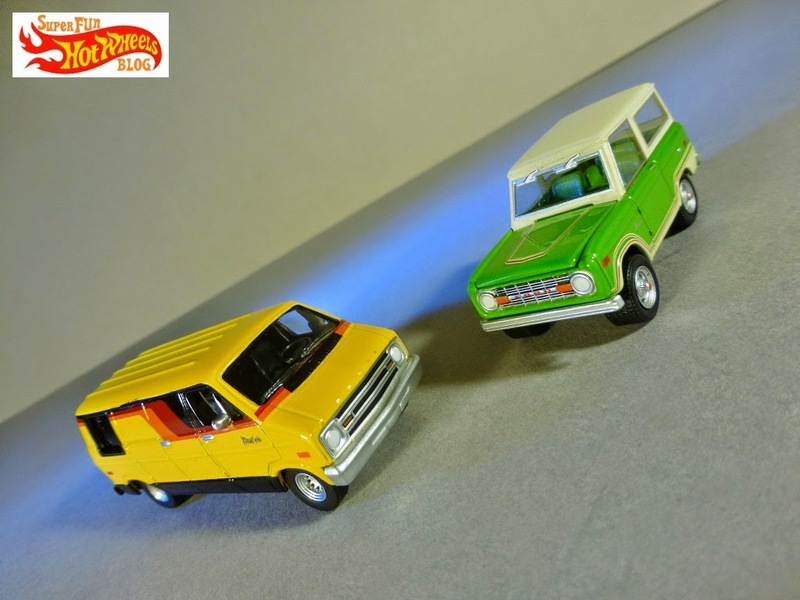 The detail highlights are the door mirrors, grille and wheels, which look great! 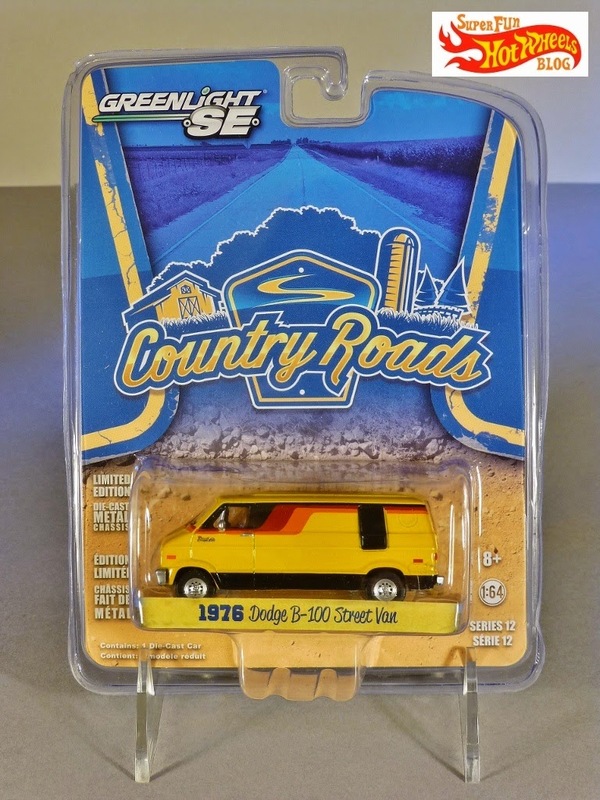 I think I should pick up a couple of these Greenlight cars...they are super nice!